Open Mic International is a worldwide singing competition. You could have the chance to perform at some of the UK's biggest venues! The music competition is open for all genres and acts may perform either covers or their own original songs. The music competition offers contestants the opportunity to audition for the chance to perform live in front of Competition Judge, Founder and President of the Open Mic International Singing Competition Venuss Sharman and industry judges and large audiences, generating valuable media attention and worldwide social media and news exposure! The largest Open Mic singing competition hosted from the United Kingdom is set to get even bigger! There is something for every singer no matter the level of experience. Here is the one-time opportunity to make a difference and bring your talent out in the entertainment world. Apply for your place and be part of the only Worldwide International Singing Competition like no other! Check out the audition dates to find your nearest Open Mic International audition venue. The search is on to discover acts with the potential to become international recording artists. All singers are welcome to audition for the international music competition! The aim of the singing contest is searching to discover an act/s that has the ability to become a professional recording artist/s. The most talented of those who audition progress to perform at the live Grand Final held at the 02 Arena, London. Do you have the talent? Could you be the next winner? What are you waiting for? The 2019 audition information is now available! Visit Competition Website! 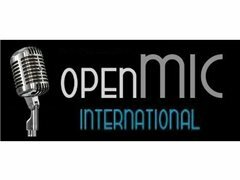 Open Mic International is worldwide singing competition. Auditions start in May and will search for the best of the best singers, singer/songwriters, rappers and vocalists across the globe. Please note: This is an open audition. Grand Finalists the Competition will receive all travel and accommodation expenses as per the norm. Anyone can enter Open Mic International - as long as you think you have a great voice there’s a place for you in the talent auditions.